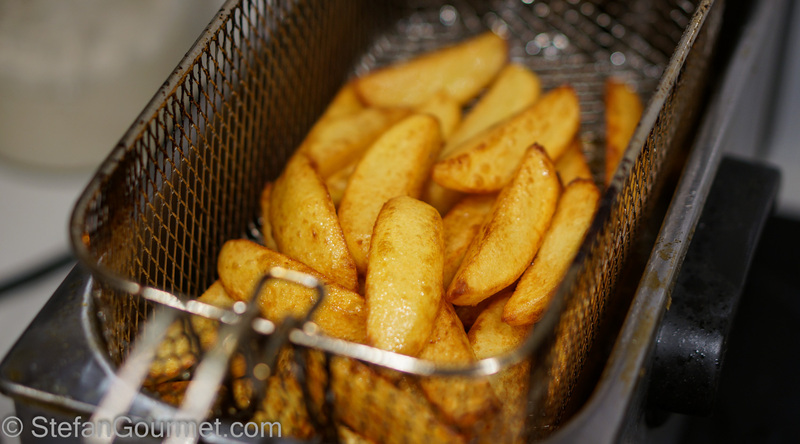 There isn’t much Dutch cuisine to speak of, but a popular tasty dish that is available all along the coast is “schol met patat en sla”, or fried plaice with fries and salad. 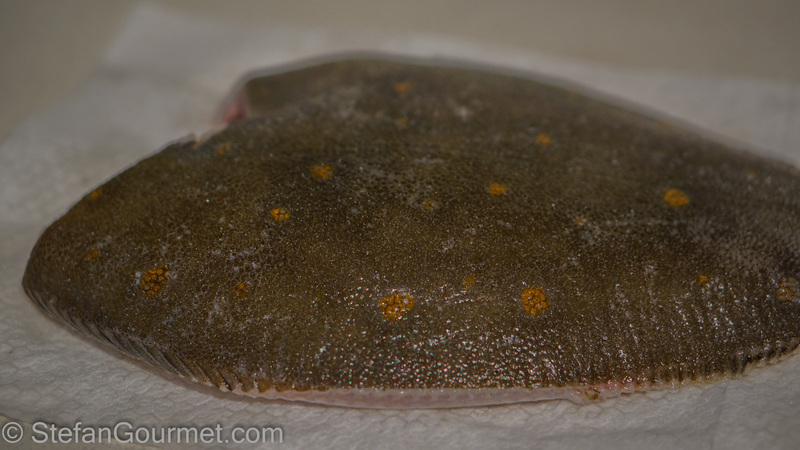 Plaice is a flatfish that is common in the North Sea, it has the shape of a turbot and has orange-colored spots. 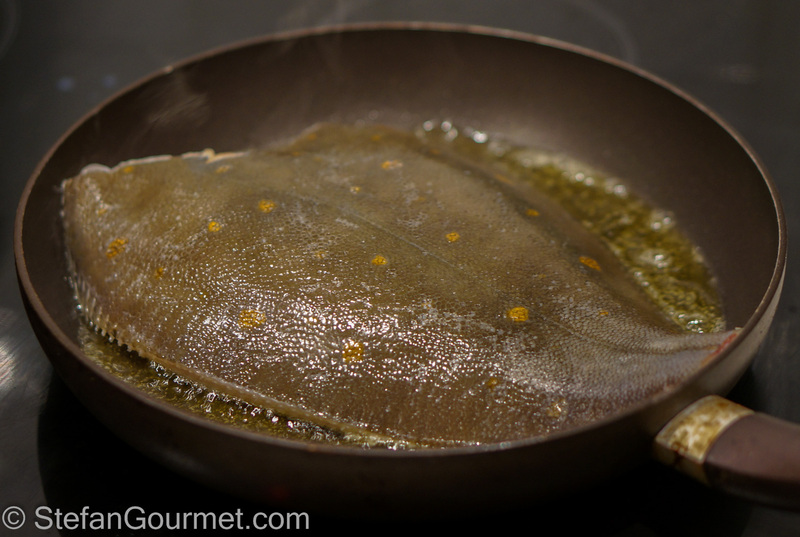 If you can’t get plaice, you could substitute with any other flatfish such as flounder, turbot, or sole. In the Netherlands, fried fish is often served with remoulade sauce, a mayonnaise-based sauce with aromatic herbs, capers, and pickles. There are many versions of remoulade sauce around and this is different from the Louisiana version, which includes cayenne pepper. Remoulade is very tasty and goes well with both the fish and the fries. It goes without saying that there is nothing like homemade remoulade made from scratch with fresh herbs. Ask your fishmonger to cut off the fins and gut the plaice for you. “Panklaar” (ready for the pan) is what we call this in the Netherlands. Salt the plaice about 30 minutes before frying, so the salt can penetrate into the fish. Meanwhile, prepare the remoulade. Chop the herbs, pickles, capers, and shallots. 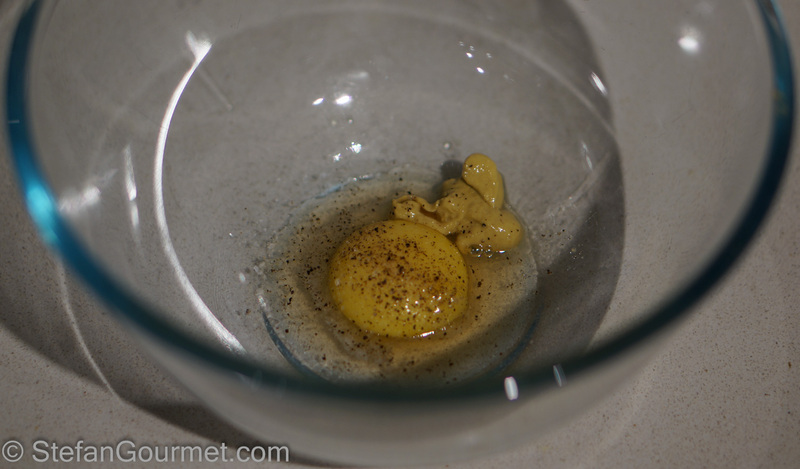 Combine the egg yolk, 1 tsp mustard and 1 tsp vinegar in a bowl. Season with salt and pepper. 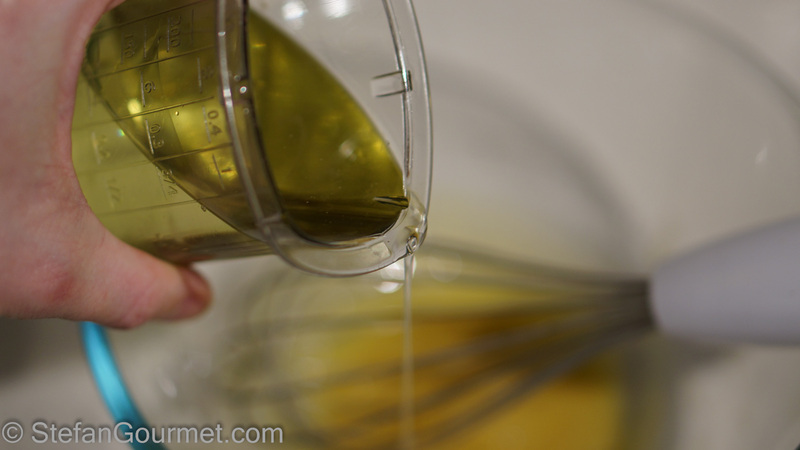 Start whisking and slowly, very slowly, add the oil. 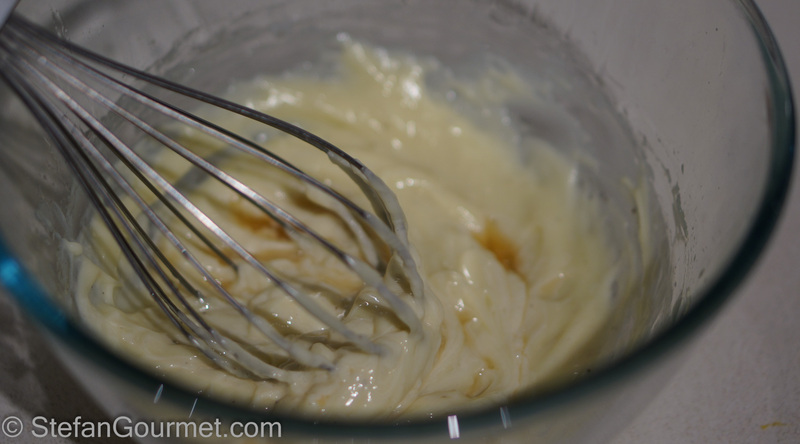 Keep whisking and slowly adding the oil until you have added all the oil and you have obtained a mayonnaise. 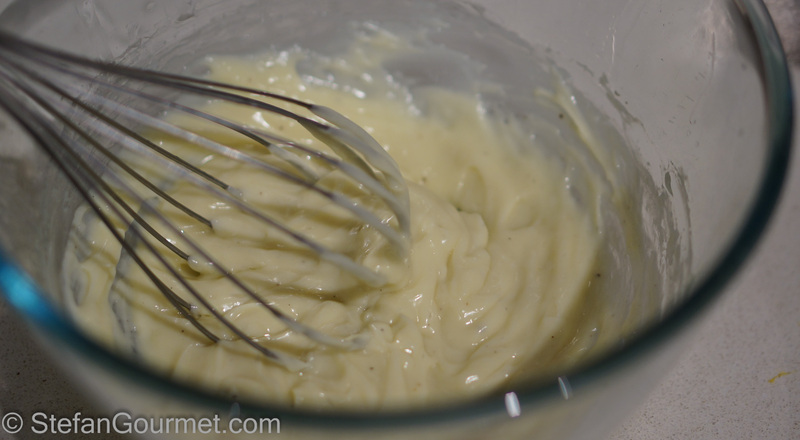 You can also make the mayonnaise with a blender, but I actually find it easier to make it by hand. It helps if the egg yolk and the oil are both at room temperature. Add the remaining teaspoon of vinegar. Whisk to incorporate. 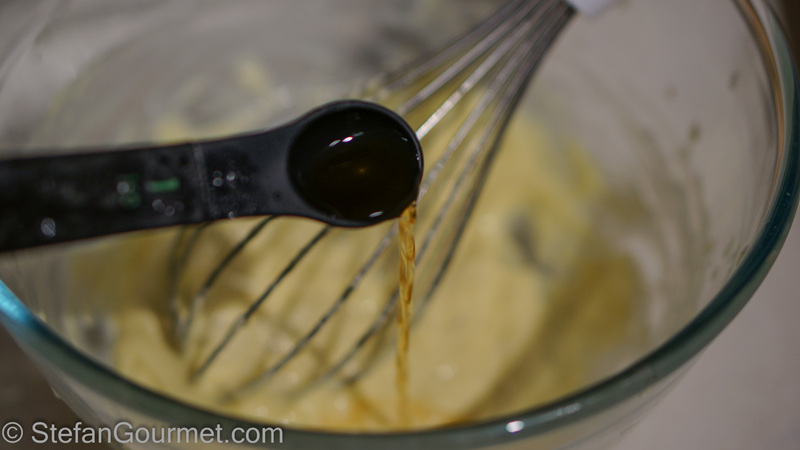 This will make the mayonnaise base slightly thinner and more tart than ordinary mayonnaise. 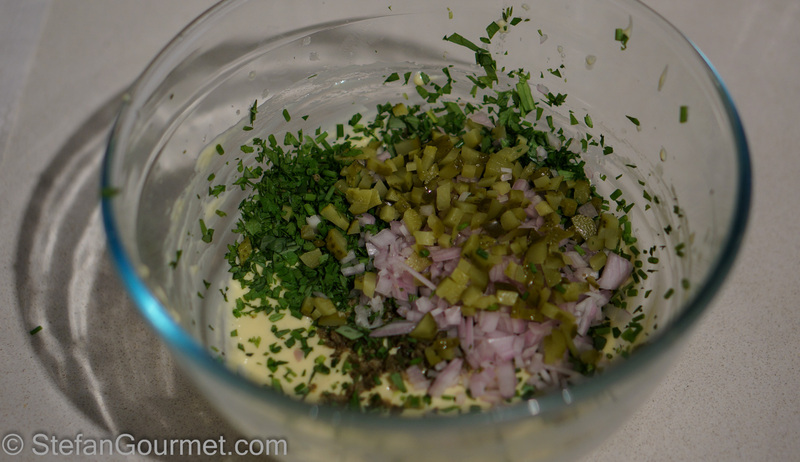 Add the herbs, pickles, capers, and shallots. Stir to incorporate. Taste and adjust the seasoning with salt and pepper. 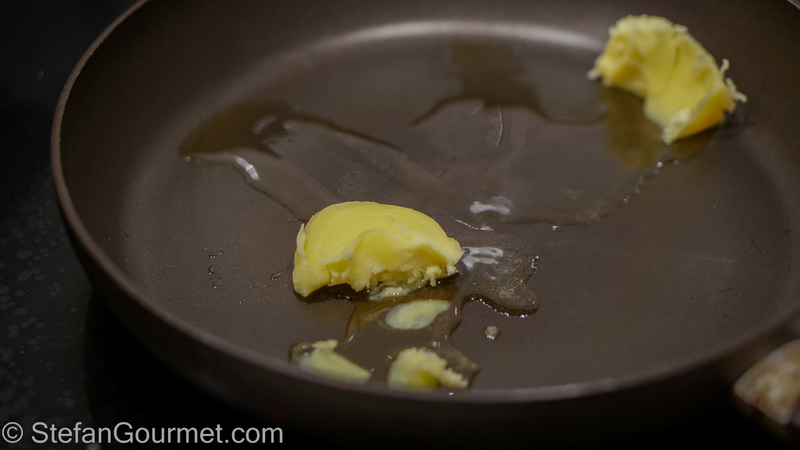 Melt a generous amount of clarified butter in a non-stick frying pan. This was a huge plaice of 1.2 kg (almost 3 lbs) that we shared and barely fit in the pan. When the butter is very hot, add the plaice. Cook for about 4 minutes. Carefully turn over the plaice. Cook the other side for about 4 minutes as well. 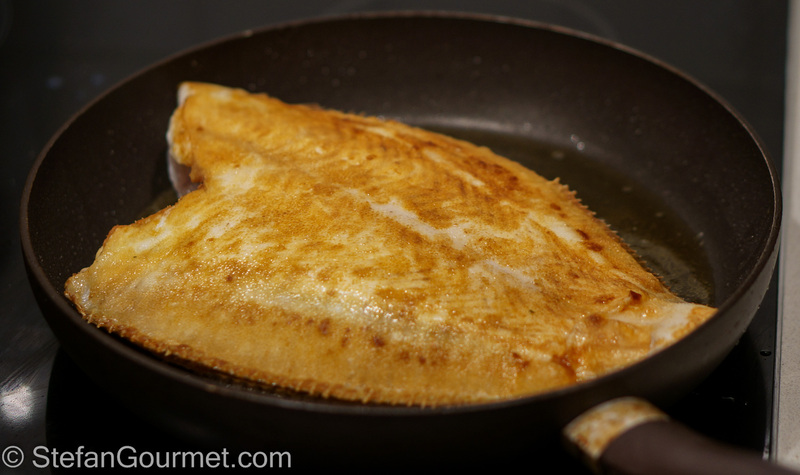 The cooking time depends on the thickness of the plaice. To check whether the fish is cooked, insert a fork in the thickest part until you hit the bone. Take out the fork and check whether it is warm. The plaice is cooked through when it’s warm. Meanwhile, finish preparing the fries and dress the salad. 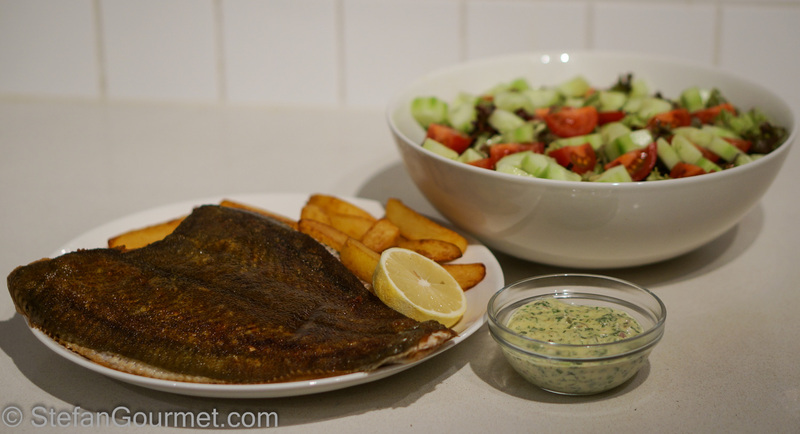 Serve the plaice on a preheated plate with the fries. Serve the salad and the remoulade on the side. This goes well with a dry white that is both fresh and creamy, to go with the remoulade. 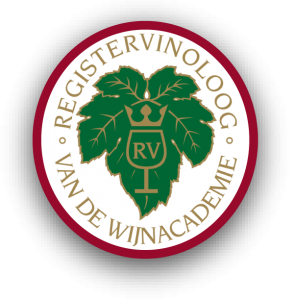 A good example is a Fiano di Avellino, but there certainly are Chardonnays that will work too. Another great choice is a Muscadet sur Lie. There aren’t many things I haven’t tried sous-vide. Pork ribs is also included in the long list of things that I have tried. As usual sous-vide makes sure the meat will be tender and succulent. This was my favourite fish as a small child and you have just given me a great appetite to see what flatfish are at out fish markets! 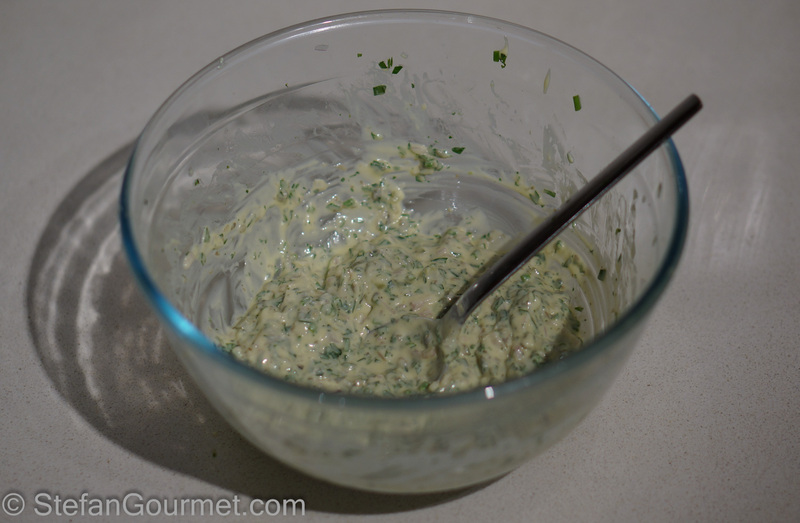 Have not made remoulade for ages: interesting – watched a local [and very good] food show on TV last night in which one of our most beloved chefs made ‘Café de Paris butter’ to go with steak. Have not made that for a long time either but it had most of the ingredients here? I’ve not heard of plaice, Stephan, though we do have a few flatfish available, as I’m sure you know. Cooking it quickly in butter is definitely the way to go. How very flavorful! Speaking of flavorful, I do love your remoulade recipe. It would make a wonderful accompaniment.